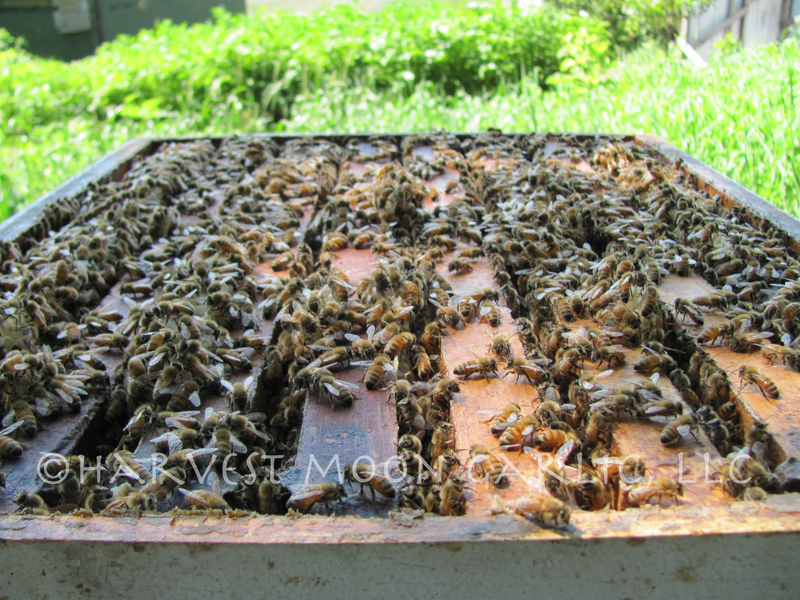 Here is a picture showing what the hive looks like with the lid removed. This part of the hive is called a super. 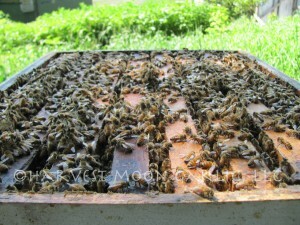 There is a grill I installed called a queen excluder before placing the super on the main hive, or hive body. The queen excluder prevents the queen from entering into the supers. There are a few reasons for this; first, to keep the queen from laying eggs where we would like the bees to make honey, and second, to make it easier to keep track of the queen. So far this summer has been fairly hot with many days in the high 80s and 90s. I think the bees are doing very well and seem to thrive in this weather. Currently both hives are working to fill three supers and they may even finish a fourth. I look forward to enjoying and sharing some honey soon!